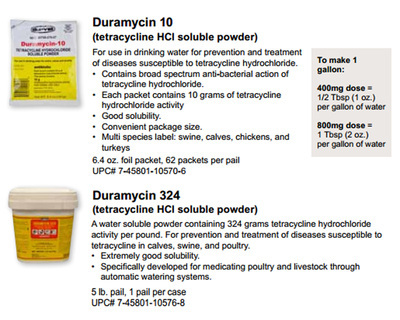 Chicken Medicine Chart link has lots of information! The preventative dose (.006%) for Corid Powder is 1/3 teaspoon. The preventative dose (.006%) for Corid liquid is 1/2 teaspoon. 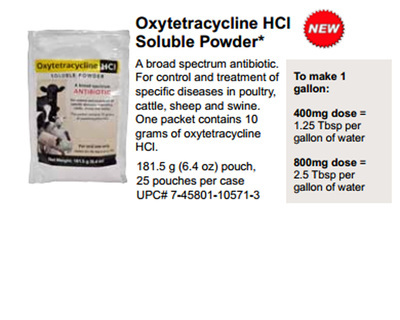 The moderate outbreak dose (.012%) for Corid Powder is 3/4 teaspoon. The moderate outbreak dose (.012%) for Corid liquid is 1 teaspoon. The severe outbreak dose (.024%) for Corid Powder is 1.5 teaspoons The severe outbreak dose (.024%) for Corid liquid is 2 teaspoon.
! !If you are seeing blood, go with the severe outbreak dosage!! 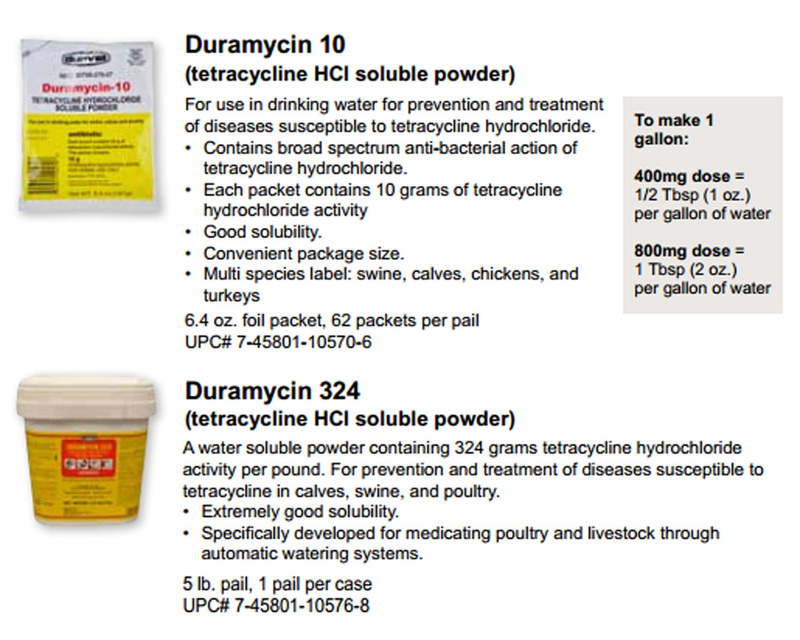 *note-the percentages seen in the dosage lines are the percentage of the drug the chicken will receive using 20% powder mixed with 1 gallon of water. All are based on using 20% powder. Use full strength on severely ailing chickens, otherwise mix into their drinking water as needed, a cup per gallon of water. Replacing the electrolytes lost during times of oppressive heat could mean the difference between life and death to your chickens. 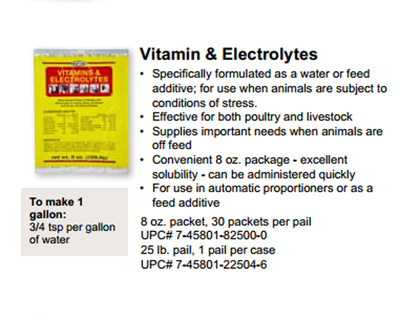 You can also add this electrolyte mix to water for your dogs, cats, rabbits, horses and other animals. Even mix some into a little fruit juice for yourself or your kids.